I've made this recipe twice now... once with orange marmalade and once with a beautiful homemade kiwi marmalade. Both times, it worked great. Mrs. Breakfast took a jar full of the kiwi creation to her work and it got rave reviews. The thing that makes this granola special is a slight tang from the fruit rind in the marmalade. Also, I think most of us are used to honey or maple syrup providing the sweetness in granola. 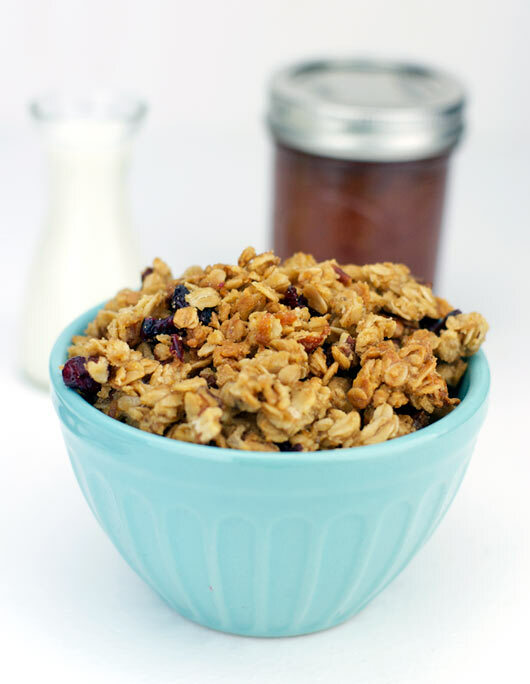 This recipe prompts a kind of "oh, this is different" response because the sweetness comes from something you don't usually equate with granola. Hope you like it as much as I do! In a large bowl, mix together the oats, flour and pecans. In a sauce pan, over medium heat, melt the butter. Ad the brown sugar, salt, marmalade and maple syrup. Stirring often, allow this mixture to come to boil and immediately turn off the heat. Stir in the vanilla. Bake at 325 degrees for 30 minutes - string and flipping once at the halfway point. Add the cranberries and flip the granola again. Bake for 3 to 5 more minutes. Remove from oven and allow to cook at least 20 minutes. 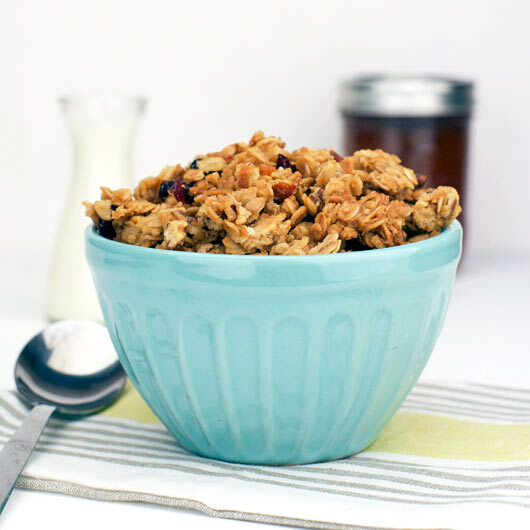 Granola will get crisp as it cools. Stores well in an airtight container for a full week. 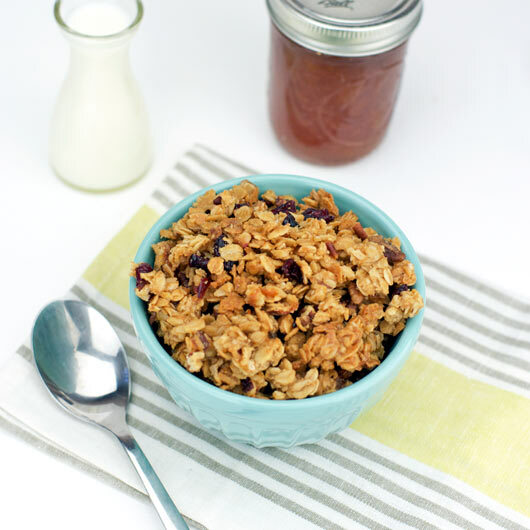 A unique granola that get most of its sweetness plus a gentle, unexpected tanginess from marmalade. Recipe number 3197. Submitted 8/2/2013.